Since becoming Prime Minister, Mrs May has suffered several massive, very public debacles, including destroying an election majority, and a spectacular failure to unite her party or get her Brexit deal through Parliament. Any one of those might have annihilated a less resilient woman, or man. “Who would want to be in Theresa May’s shoes?” I have frequently wondered. That better question set me thinking. Even I don’t always want to be in my shoes. You see, I am one of those people who do not stride through this world with rock-solid self-confidence. We people have a touch of Impostor Syndrome about us. We have been known to question our abilities. We get anxious from time to time. We can catastrophize when things – especially important things – look like they will rapidly go to hell in a hand-cart, rather than going to plan. Our sense of self-worth is not as resilient as it could be. We take everything in our lives that goes less than perfectly as a – negative – reflection on our human value. That’s a hard way to live. Yet a lot of us do that, regardless of our abilities, achievements and, even, the positive feedback from friends, family and co-workers. The powerful mind-shift that struck me, watching Theresa May power on through devastating challenges was that there manifestly is another way. Mrs May, as she surely knows, has a notable charisma deficit. However, she does not let that – or anything else – stand in the way of her agenda. Mrs May does not have a narrative about her own shortcomings and limitations constantly playing in her head. If she had, she would never find the drive to fight on, day after day, against such wearing odds. She does not translate the political challenges she faces into a reflection on her – perceived – lack of worth. Rather, our British Premier simply focuses on the task that needs to be done. The task is simply the task. Its success, or failure, is not a reflection on either her worth or her lovableness as a human being. For those of us afflicted with Impostor Syndrome, catastrophizing and all the other negative emotions that send us endless messages about personal failure, the task is never simply the task. The task becomes the practical challenge that we face, in addition to the demands of our own disabling people-pleasing, perfectionism and the temptation to give up on ourselves because we are not good enough to do what is asked of us. 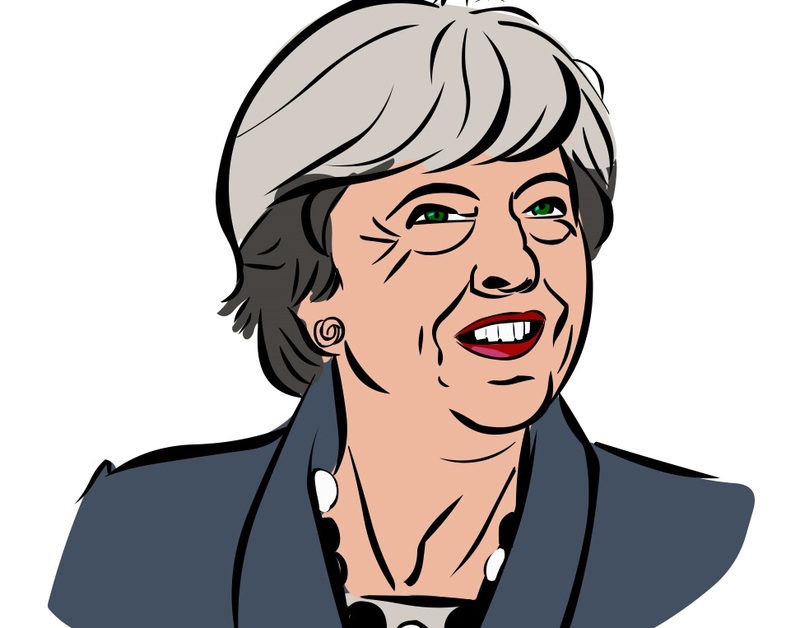 The powerful mind-shift that we can all take from Theresa May’s tribulations is that we may have an unfortunate tendency to overcomplicate and conflate issues. We need to open our eyes to our unconscious narrative about who we need to be in order to get things done that gets in the way of implementation. “Implementation”, as Theresa May did not actually say, “means implementation”. It does not mean working through you entire back catalogue of self-doubt and shortcomings. It does not mean giving up at the first – or even the ninety-first – hurdle. In reality, the only soul-searching you need to do along a checkered path is ask yourself, “What if anything could I be doing that would work better?” And stay away from your flawed human being story. It probably isn’t accurate and it sure as hell won’t help you. We thank you, Theresa May, for offering those of us who need it such a public illustration of how not to take failures and setbacks personally.